As such, I’ve tried to capture what I’ve learned about Elixir and put them into tutorials that others could use as well. Elixir is still a fairly new language as far as web technologies go, so the amount of resources out there is small, but growing. I thought I would tutorials for places where content seemed to be lacking and I knew I had experience. OK, and it’s not just Elixir. Also, Phoenix tutorials. And a variety of topics. 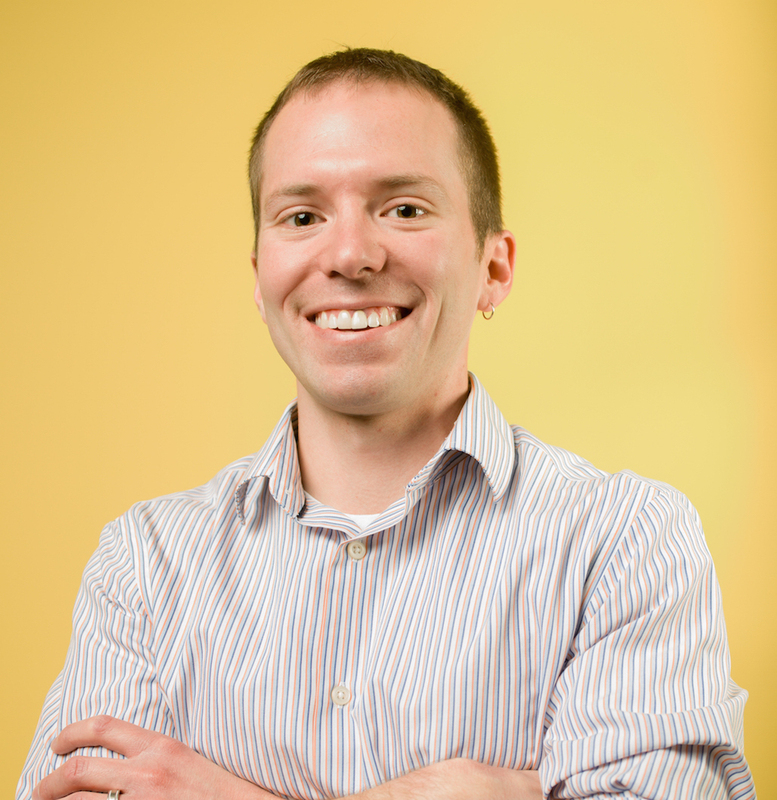 Tutorials covering everything from Elixir data collections to Elixir testing to the Phoenix web framework. You can see a list of them below. I’ll write more, so you can check back here for the latest ones. Maps are used extensively in Elixir. 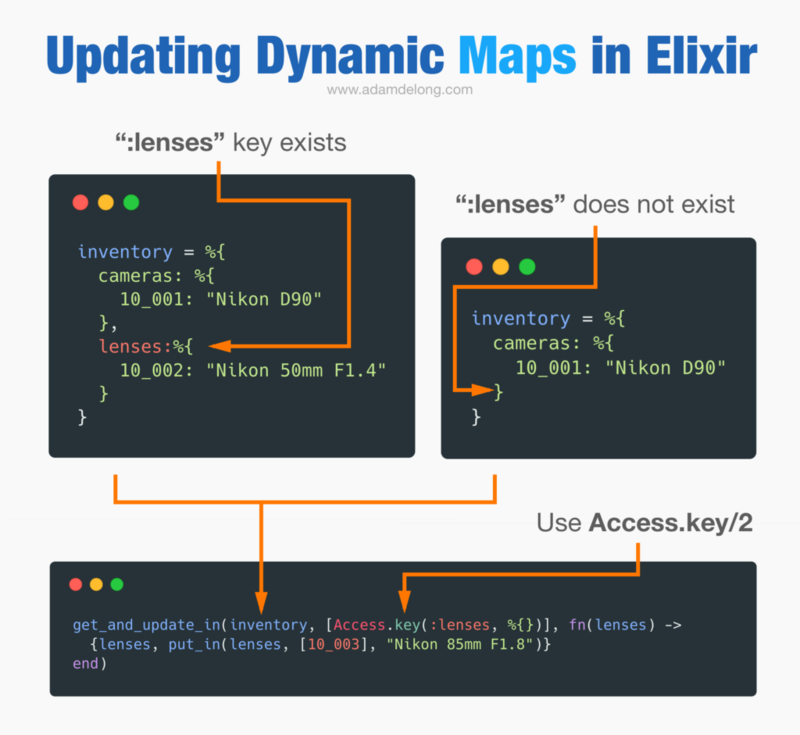 But updating dynamic maps in Elixir, especially if they are nested, can be a bit difficult. Here’s a way to make it easier. The Ecto stale entry error (Ecto.StaleEntryError) can be a bit cryptic. Find out one cause of this error and how to fix it. 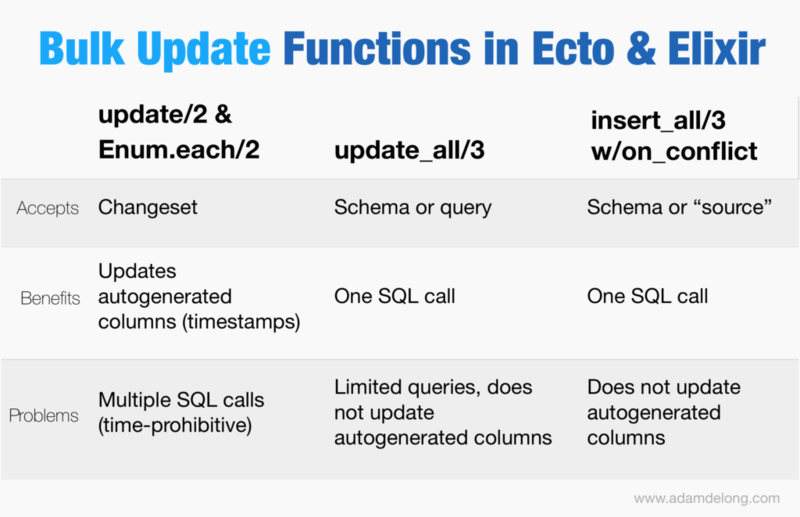 Learn a couple of ways that you can perform bulk updates of database rows using Ecto and Elixir without writing a single-line of SQL. 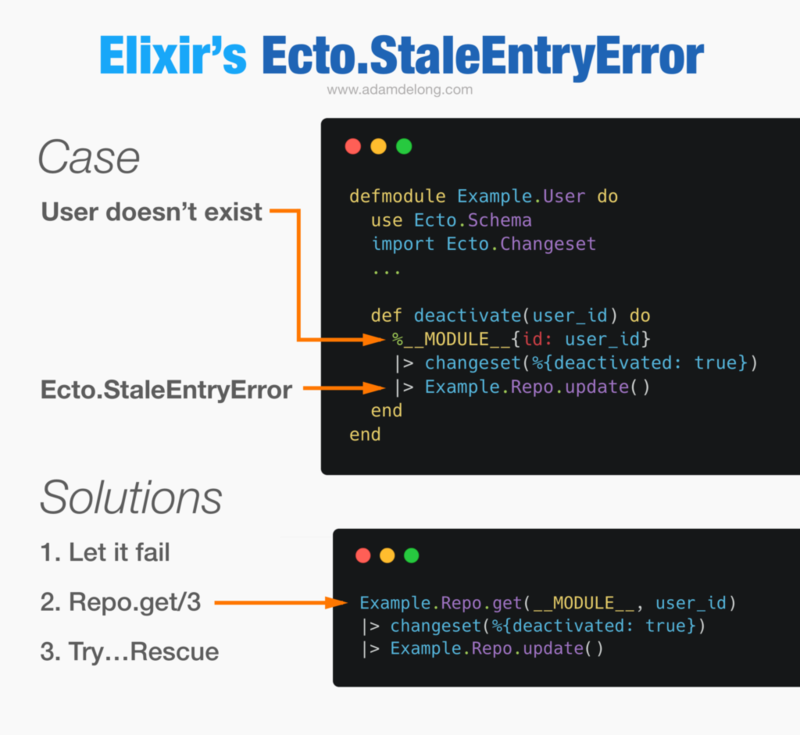 Learn how to solve one of Elixir’s most common errors, the “module is not available” error. 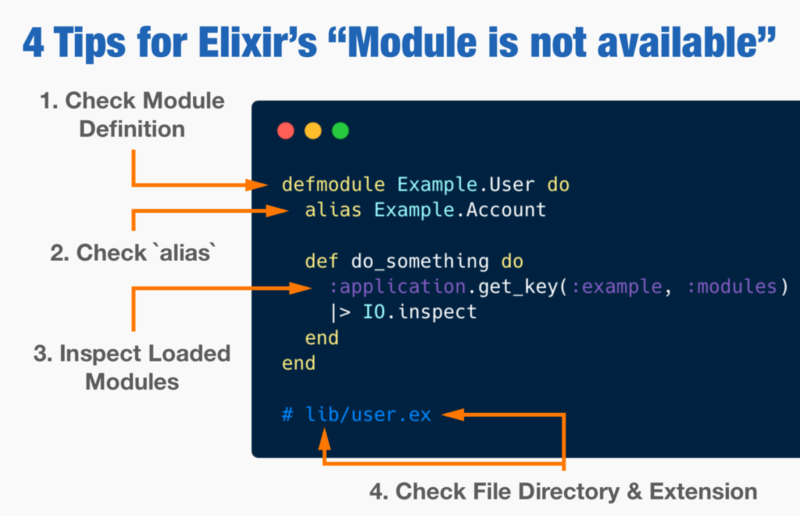 Includes an Elixir “module is not available” cheatsheet. 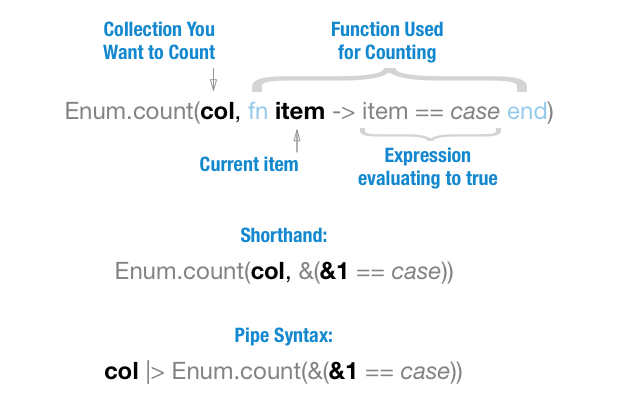 Need to count the amount of characters in a string? Find out a quick way to do this and more. 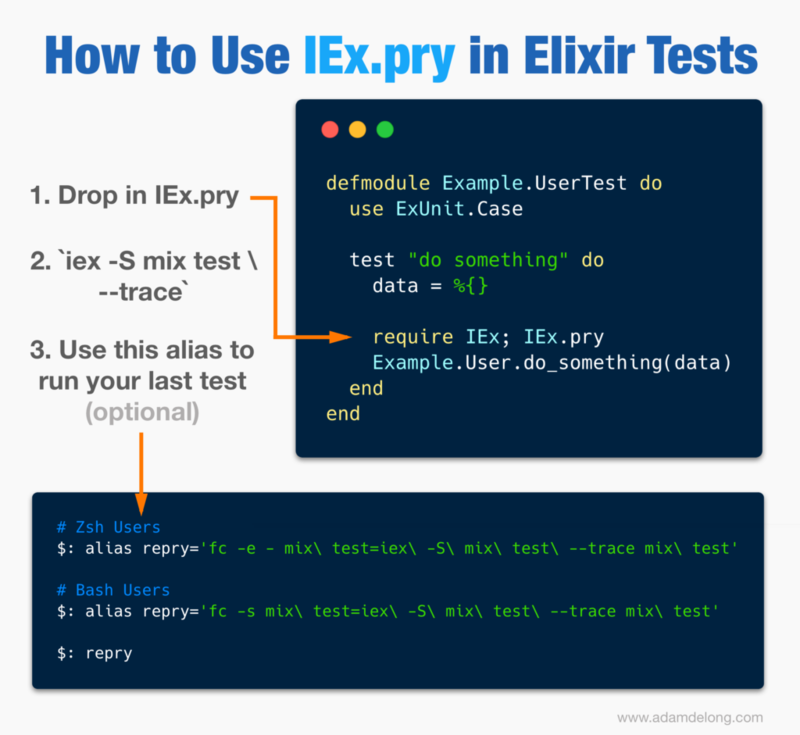 Elixir’s IEx.pry is a great debugging tool, but can be tricky to get working with your ExUnit tests. Learn how to use it with your test workflow. Eliminating race conditions from acceptance tests can be difficult, but in this tutorial, I show you a couple of ways that you can avoid race conditions that may happen as the result of an asynchronous text change with Hound and Phoenix.